About – Air Heritage Inc.
To research of our aeronautical history with an emphasis on the Tri-State area. To aid individuals and organizations engaged in similar research and education projects. To engage in the accumulation, restoration and preservation of historically significant aircraft, aeronautical materials and artifacts. To operate and maintain an aviation museum and restoration facility at the Beaver County Airport. Read more about John Magee on Wikipedia. Air Heritage 2018 Board of Directors. From left to right, Treasurer Jamie Daugherty, Secretary Donna Kelly, Vice-President Tamela Peterson, and President Bill Schillig. Air Heritage of Western Pennsylvania originated in 1983. In 1990, as a result of rapidly multiplying opportunities and membership our name was changed to Air Heritage Inc. Through a chance meeting in the late 80’s at the Latrobe Air Show with aircraft collector David Tallichet a few of our members repaired a tail wheel of his B-17. This lead to discussions that night over dinner of the feasibility of Air Heritage restoring his many aircraft. It wasn’t long after that that an agreement was drawn up that Air Heritage would supply free labor to restore Mr. Tallichet’s aircraft, in return Air Heritage would receive a 120’ x 120’ hangar financed by Mr. Tallichet. 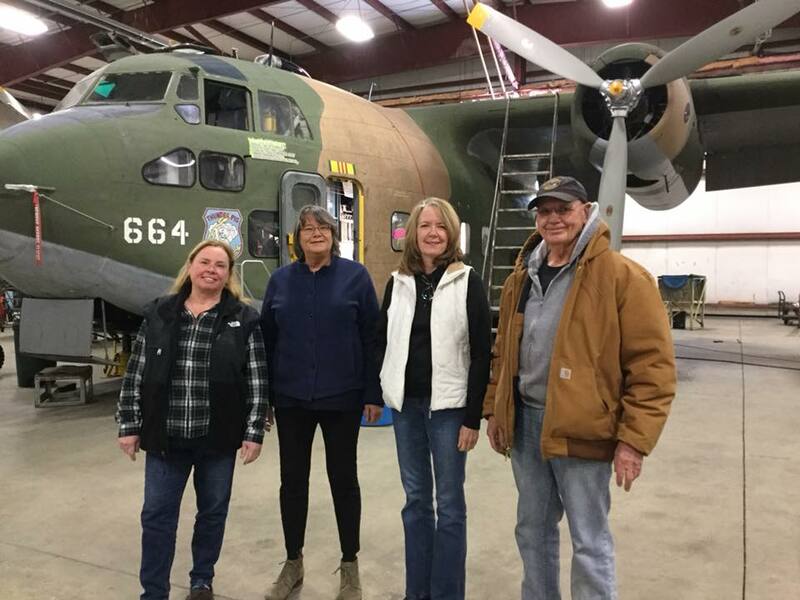 The dedication of our volunteers had already been proven in the restoration of the B-17G “Nine-O-Nine” (which suffered extensive damage from a crash during the 1987 Beaver County Airshow). 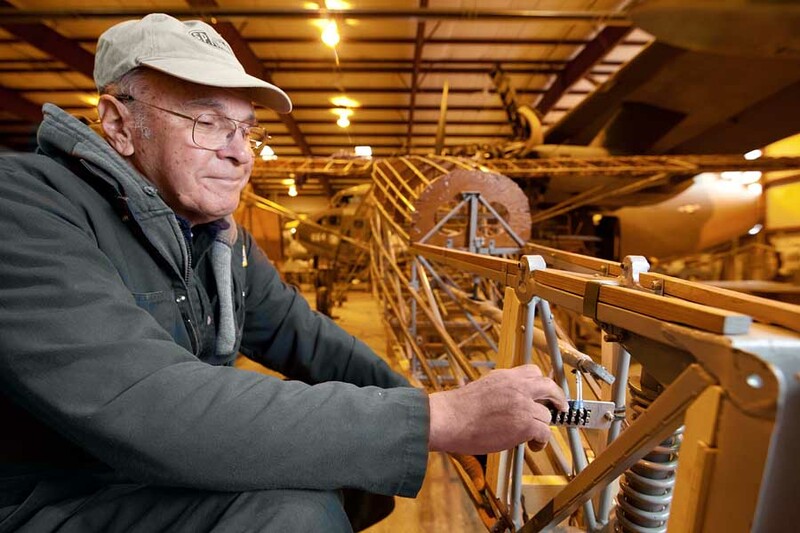 Therefore, Air Heritage Inc. reached an agreement to restore a collection of rare WWII aircraft. 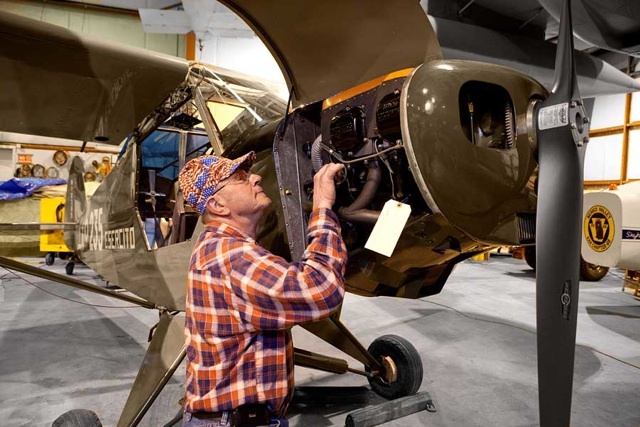 Several aircraft are presently under restoration in our 120′ x 120′ hanger on the Beaver County Airport, as a result, our museum is a true “working museum”. 1987 First heavy restoration started in August after the crash of the B-17 owned by Bob Collings during the Beaver County Air Show. Our members were the bulk of the force that restored the 909. Project ended in December 1990 when the 909 left Beaver County Airport. 1990 Air Heritage hanger (14,400 sq. ft.) opened in August. 1990 Tarmac completed on south and west side of Air Heritage hangar. 1993 L-21 flew 7/21/93. The first flight lasted 24 minutes. The pilot was Air Heritage member Bob Hudock, who was a Capt. for US Airways. 1993 First four year air show contract between Air Heritage and Beaver County. 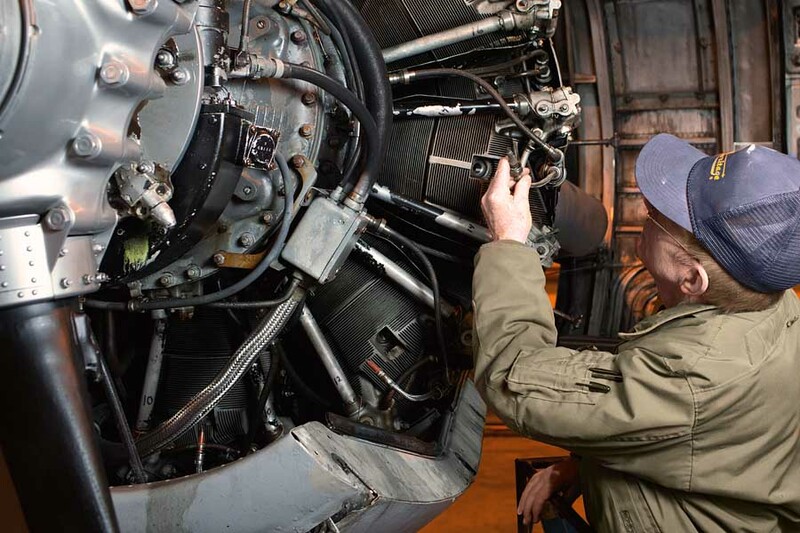 1994 Agreement was signed between Military Aircraft Restoration Corporation. (MARC) and Air Heritage concerning a C-123K. The agreement stated that if Air Heritage could recover the C-123K from storage at Davis Mothan AFB and fly it to Beaver County Airport, MARC would lease it to Air Heritage for one dollar a year. The C-123K tail number 54-664 arrived at the Beaver County Airport in May 1994. As part of the agreement Air Heritage could take it to air shows and a third of the proceeds would be sent to MARC. That agreement is still in effect and will be until 2015. 1995 C123K made its first air show as the “Thunder Pig”. 1995 Started restoration of a B-25 for U.S. Navy. 1996 Secured Bell UH1H (Huey) from Delaware National Guard. 1996 Bought aircraft tug and portable generator. 1997 Secured 2 OV-1D Mohawks from U.S. Army and GSA. 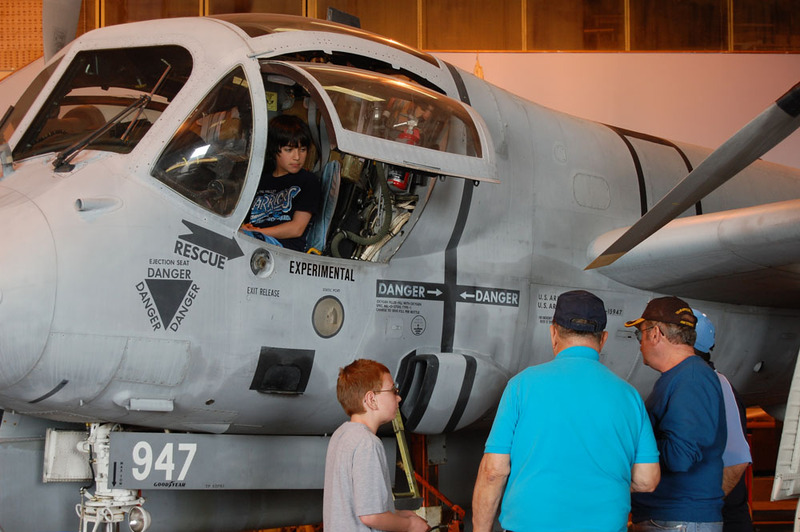 1998 B-25 delivered to Pensacola, FL naval air station museum. 1998 Secured a Cessna 401 from GSA. 1996 – 2007 Restored P47, P51, Storch, Westland Lysander, of David Talichet’s aircraft. 2006 David Tallichet passed away in October of this year. In summer of 2007 his estate removed from the hangar the A20, P39, and the Stinson Relient. Hangar Agreement with David Tallichet reverted to Air Heritage’s soul ownership. 2008 Secured MkT3 Provost from Frances Hays Todd of Latrobe, PA.
2008 Secured a Funk B aircraft from private party. 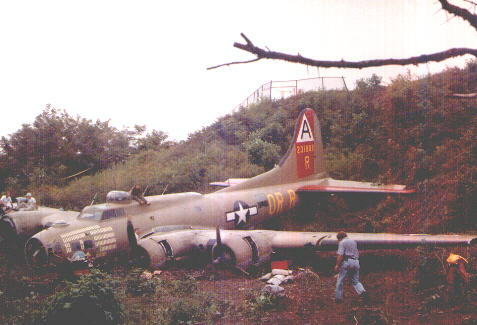 August 23, 1987, the B-17 Flying Fortress Nine-O-Nine ran off the end of the runway on landing during an airshow at the Beaver County Airport.